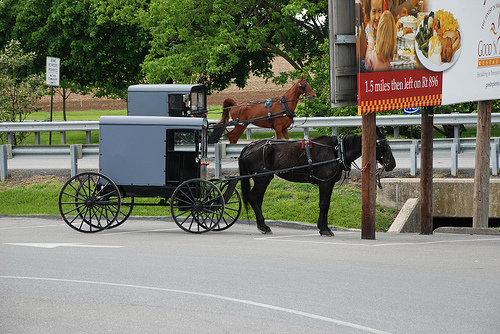 A visit to Amish country has been a popular vacation destination for many years. It gives visitors a chance to see the pristine Amish farms and learn how this group of people manages to not only survive but thrive without the use of automobiles, electricity and other things that most outside of the Amish community cannot imagine living without. For the Amish communities that embrace the tourist industry, it provides a good source of income for the many Amish families that sell their quilts, homemade baked goods and other items to visitors. There is a downside, however, and many Amish people, while grateful for those who bring income to their communities, say they are often taken aback by the rudeness of some of the tourists. 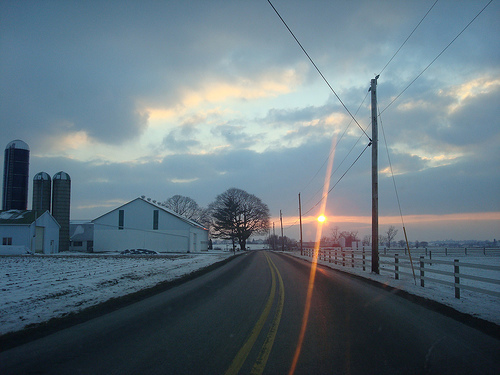 Below are a few things to remember when visiting Amish country so that the visit can be pleasant both for the tourists and their Amish hosts. Many Amish do not allow their photographs to be taken. While it may seem innocent to snap a few shots of the quaint Amish family riding in their buggy, this can be one of the fastest ways to offend them. Of course, even without the religious conviction about photographs, it's not very polite to just start taking photos of someone without asking permission. If a visitor feels they must have a photo, the only polite way to go about it is to ask the person for permission to take their picture. Some will allow photographs and some will likely refuse. Be respectful of their answer. While it seems a little sad that this even needs to be said, many Amish families say this happens all too often. Tourists stop and point at Amish folks as they go about their daily lives. Remember, if you see an Amish family in town, they are likely just there to do some shopping, stop by the bank or do some other errand. These are not costumed interpreters; they are real people just trying to live their lives. Every Amish person a tourist encounters is not going to want to engage in a question and answer session. There are plenty of opportunities for conversations with Amish, such as Amish farm tours or by patronizing some of the Amish owned businesses in the area. When in Amish country, drivers must share the road not only with other cars, but with horse drawn buggies as well. When behind a buggy, be patient. Honking the horn, yelling or offering rude gestures is not going to make the horse go any faster. 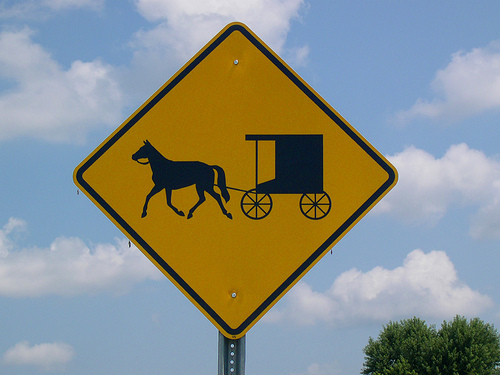 Many accidents occur each year between Amish buggies and impatient drivers of automobiles. If choosing to pass a buggy, do so with the utmost caution. Many Amish farms participate in farm tours, but not every farm does. Do not enter private property without permission. The lack of a No Trespassing sign does not give visitors the right to enter the property. For those who want to visit a farm, take one of the farm tours offered. Doing so will allow not only access to the farm, but more than likely to the family that lives there. This will provide a wonderful opportunity to ask questions and, depending on the rules of that community, to take photographs.